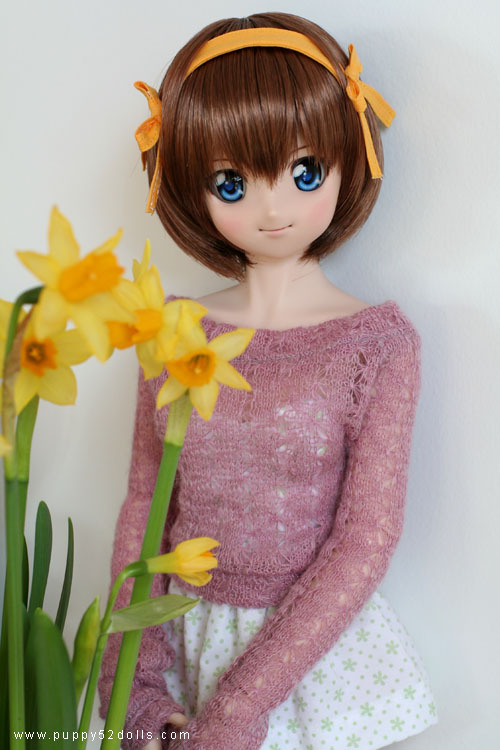 A suddenly sunny break in the afternoon got me moving my dollfie dream girls together to take some photos! There hasn’t been any real temptations so far other than having a need to save some $$$ for 2010. Omake: they’re all facing the window where the light is coming in lol! Oh Himitsu’s wearing flats, Mirai and Mirin are wearing heels ;)! Actually I’ve seen modded DDs and Obitsus that have been shortened. There’s this one woman who shows up on boards I frequent who modded her Obitsu boy to be a bit shorter than his original 60cm height…he has some of the same hacks Zetto has, but more extreme because she physically altered his thighs to lose a little height. 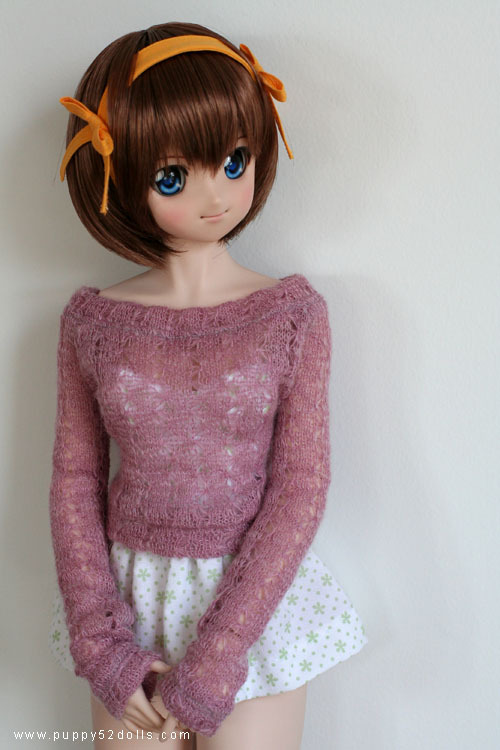 Oh well…looks like I’m going to the Volks side of the Force after all for Namiko. MDD with the Kips mod, DD01 head. Type D “Apricot” brownish or Type E “Shikkoku” grey eyes. I can wait for Emory to get it together or I can just visit Tenshi no Sumika in Torrance, CA and pick her up. So nice to have a Volks store within a short driving distance! And I love the people there. Good people. Good times. Set for taking piccies of your Dollfie. Lizz aka Biff is relishing the thought of doing a DD head faceup. OK, since this is a low-traffic board I will be frank. The US distributor for Obitsu is an online store called the Junky Spot. Yes, you can also order from Parabox Japan directly, I’ve done so, they are great. But Junky Spot is basically a one-person operation: a guy named Emory. I was going to order some parts for my Obitsu 60cm 2-piece/55cm hybrid boy. Sent Emory a few emails. Lint in my in-box and the sound of crickets chirping. Had to get the needed parts from Parabox. And here’s the last reason why my change of heart. 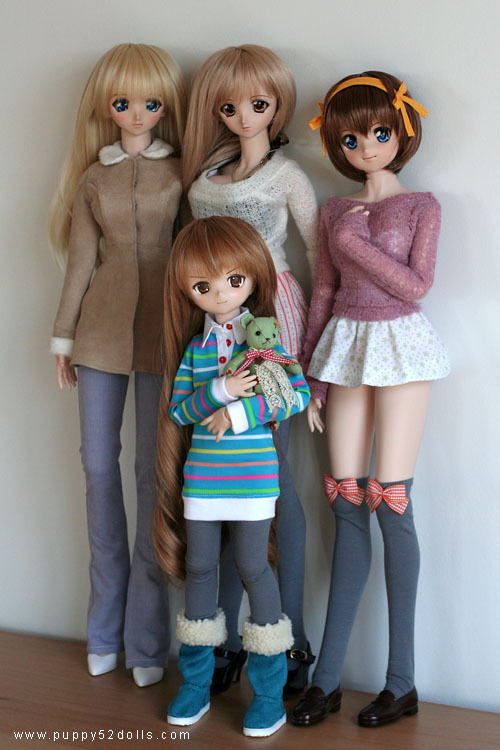 I’m putting together a doll meet in Torrance at the Mitsuwa Marketplace, a huge Japanese market. They have a super food court with plenty of room for Doll people to hang out. We’re going to get together on March 6th, in honor of Hina Matsuri, the Doll Festival. After the meet we’re going to carpool it to Volks Tenshi no Sumika. And that’s when I’ll pick up Namiko. That will mean her “birthday” will be March 6th. Yumiko’s backstory birthday is March 1st, because my friend Chad, who was the original person pwn3d by her, bought her at Volks on March 1st, 2008. And the backstory location of where Namiko lives is Lawndale, CA, which is a neighboring city to Torrance. Namiko will be “born” on Hina Matsuri. Cosmic, d00d. To be perfectly fair, Emory finally got back to me last weekend and was swimming through apologies. Alas, too late dude…I already whipped out the plastic and reserved the MDD.^^; I would still consider dealing with him in the future. Actually these “stories” are turning into a novel of two Asian-American families being brought together through two of their children — Yumiko and Zetto — falling in love. It’s slow going but it will be good, hopefully. It’s nice to be able to generate something creative out of silly things like dolls. Who knows what will happen with this writing? 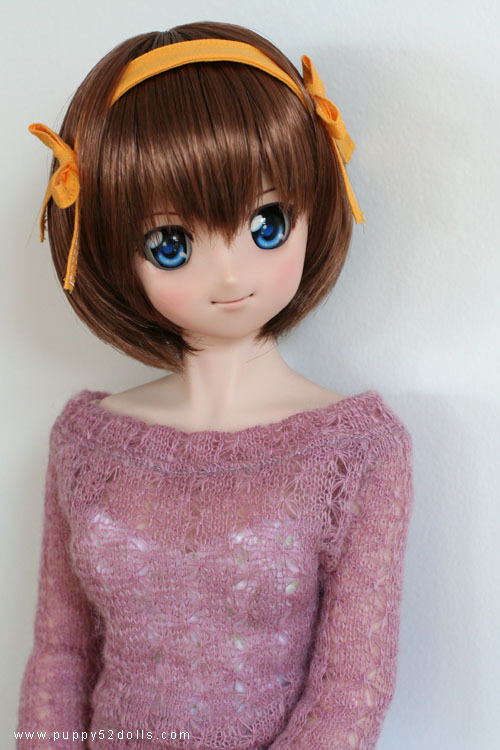 Aww, cute ^^ Is Himitsu a Volks doll? o.o? I really think you’ve got the kewlest little family there. As I mentioned on Figure.FM Zetto’s getting a kid sister because I’ve seen so many Obitsu 50cm pictures and I can’t stay away…that’s just the most awesome body ever made, even better than Volks DD as far as I’m concerned. Namiko is going to be a real tomboy type because of all the awesome things they can do. I’m thinking she’ll be 12 or 13, and very athletic. I also think Zetto having a tag-along little sister will be comedy gold for my photomanga. Yuubris’ faceup is not pro-quality but you can tell the basic design of the face from these pictures. It almost looks like an offspring of an Obitsu and a DD. It takes an 18mm eye and the head actually has pockets the eye fits into. No putty needed…at least not usually. It’s about the same height as an MDD but proportioned differently.